If your little one yawns, you may know it’s nap time. 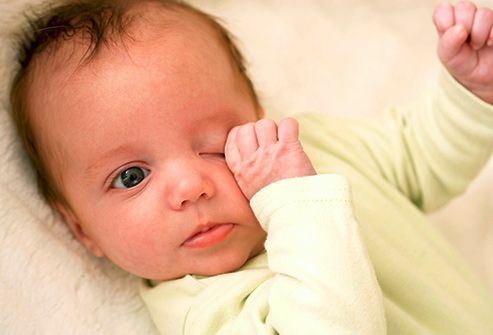 But there are other clues: Rubbing eyes, crying, and fussiness can be signs of sleepiness in newborns. Babies who are overtired have more trouble settling down for sleep, so watch for these cues. Older babies may also act clumsy, clingy, and hyperactive. 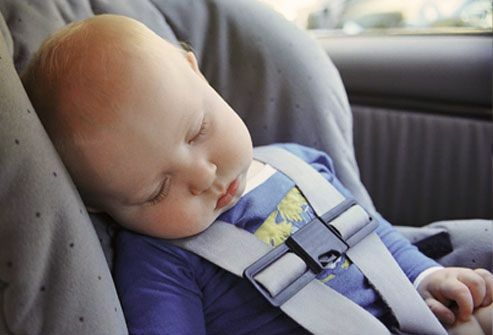 What if baby falls asleep in her car seat? Just carry the whole thing inside and set it safely on the floor, NOT on a couch or table. Let her finish her nap in the car seat. Keep her buckled in. If she starts to snooze in her baby swing, make sure she is buckled in and keep an eye on her. A short nap is OK, but don’t let her sleep there overnight. For the safest way to sleep, place her on the firm mattress of a crib on her back. It may not seem like it at first! But your newborn may sleep about 16 hours a day, waking for feedings and changing. 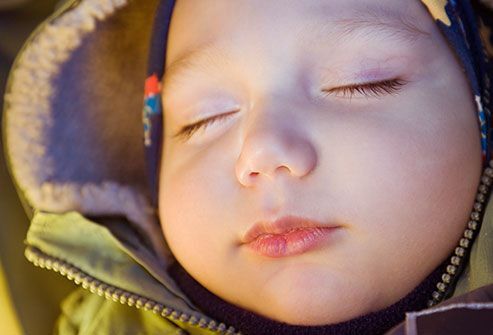 As babies get older they need less sleep during the day and more at night. By 6 months some babies should be able to sleep through the night plus take two to three naps. But don't worry if she doesn't: each baby is different. It may be tempting to squeeze napping into carpooling and errand time, and it's OK once in a while. But constantly napping on the go may not get your child the rest he needs. If he always seems tired and your schedule is packed, consider cutting back or rearrange your schedule. Or you can use a sitter or ask a friend to help out so baby has regular, thorough naps. 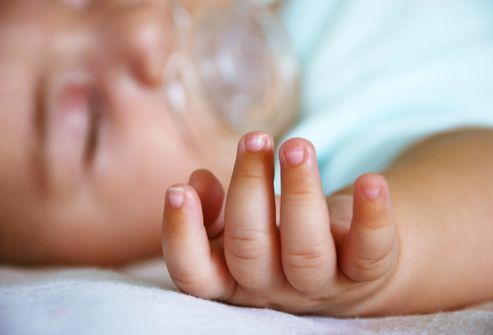 It's natural for babies to fall asleep after a feeding. And nursing or bottle-feeding newborns to sleep is a great way to feel close to your baby. Over time, though, it can become the only way they can fall asleep. Babies should learn to fall asleep on their own. Try to separate nursing from naps even by just a few minutes. Read a story or change baby’s diaper in between. 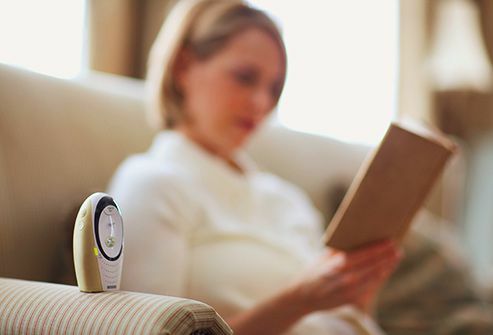 Is your baby older than 6 months and still taking lots of 20-minute naps throughout the day? Encourage him to take longer naps. Try keeping your baby up. And stretch the time between baby’s naps, making it longer bit by bit. You may be rewarded with longer naps -- ideally, one to two hours each -- and sounder nighttime sleep. Having the same nap times each day. Avoiding late afternoon naps. If your baby has trouble falling asleep at night, make nap time earlier or wake him from his nap well before bedtime. Using the crib at night and nap time, so he thinks "sleep" when he's in there. 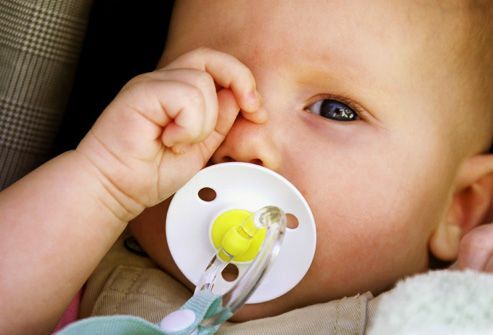 Sneezing, hiccups, whimpers, sighs, and even squeaks are common baby sleep noises. You probably don’t need to rush in. Even fussing and crying may just mean that baby is settling down. Wait a bit before checking on him -- unless, of course, you think he’s unsafe, uncomfortable, or hungry. After a few weeks, your baby doesn’t have to be sound asleep when you lay her down. Sleepy is good enough. You'll be teaching your little one how to fall asleep on her own and not need to be held, rocked, or fed. This also can help her learn to fall back to sleep on her own if she wakes during the night. If your baby falls asleep on the couch, your bed, a waterbed, or the floor, move him. Those places aren’t safe for him to sleep. 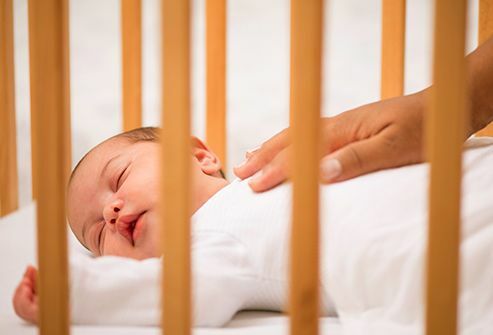 Always put your baby down to sleep on his back to help prevent Sudden Infant Death Syndrome (SIDS). 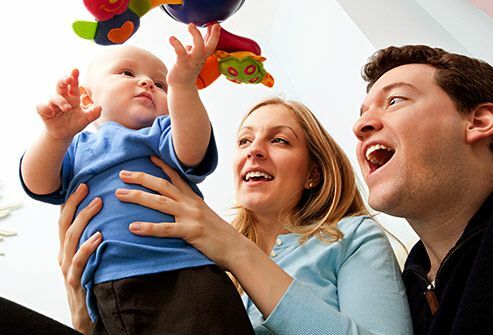 Remove blankets, pillows, stuffed animals, bumpers, and other soft things from baby’s crib or bassinet. Don't put babies down to nap with other children or pets. American Academy of Pediatrics: "A Parent’s Guide to Safe Sleep." Ask Dr. Sears: "Sleep Problems," "Sleep Safety." Better Health (Victorian Government of Australia): "Sleep: Children and Naps." Children’s Hospital Boston, Pediatric Views: "Dr. Ferber Updates his Landmark Sleep Book." Dr. Spock: "Sleep: Why and How Much?" 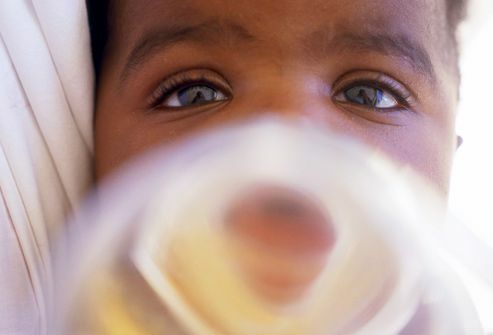 KidsHealth: "Breastfeeding FAQs: Sleep -- Yours and Your Baby’s," "Looking at Your Newborn: What’s Normal," "Naps." Parenting Science: "Baby Sleep Deprivation: How to Tell if Your Baby is Overtired or Underslept." Tobin, C. The Lull-a-Baby Sleep Plan: The Soothing, Superfast Way to Help Your New Baby Sleep Through the Night . . . And Prevent Sleep Problems Before They Develop, Rodale, 2006. Tomorrow’s Child: "Safe Sleep Brochure."